Dory A. Wiley CFA CPA CVA is President & CEO of Commerce Street Holdings, LLC, and the holding company for Commerce Street Capital, LLC (“CSC”), a FINRA-regulated broker/dealer and Commerce Street Investment Management, LLC (“CSIM”), an SEC-registered investment advisor. Since co-founding the firm in 2007, his primary focus has been the management and growth of the broker dealer and the creation of investment funds that specialize in financial institutions and related products. Dory has over 25 years of experience in commercial and investment banking and investment management. 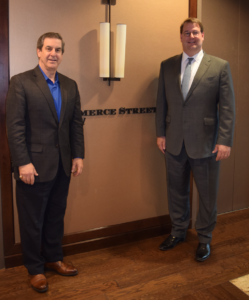 Prior to his current position with Commerce Street, Dory was President of SAMCO Capital Markets, LLC, which he joined in August, 1996. Prior to SAMCO, he was Vice President and Manager of the Financial Institutions Group at Rauscher Pierce Refsnes, now RBC Capital Markets. Dory serves on the Boards and Investment Committees of CSIM’s investment funds including SBICs (Independent Bankers Capital Fund), Bank Hedge and Private Equity funds (Keefe Managers, Keefe Partners, Keefe Rainbow Partners, Service Equity Partners, Genesis Partners, and Commerce Street Financial Partners) and debt funds (Commerce Street Income Partners I and II). 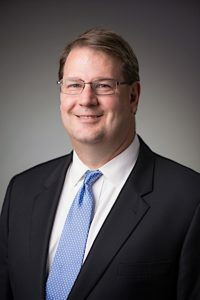 He formerly served as a member of the Board of Trustees of the Teacher Retirement System of Texas, an approximately $100 billion pension fund where he was Chairman of the Investment Committee, Chaired the Alternative Assets Committee and served on Compensation, CIO recruiting, Audit, and Government Committees. While there, TRS went from a bottom quartile performer to the number one ranked public pension fund in the country in its asset size group.